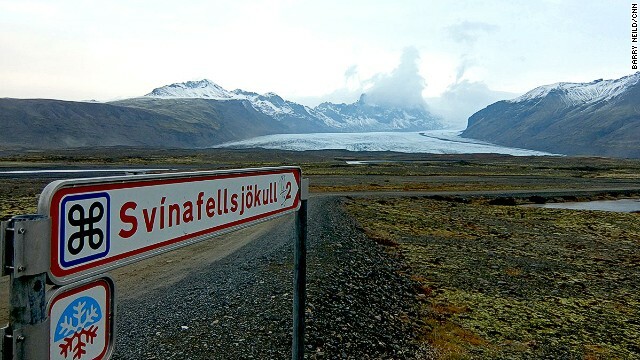 Svinafellsjokull, a glacier in the Vatnajokull National Park, is one of the locations used in the filming of new movie "Interstellar." 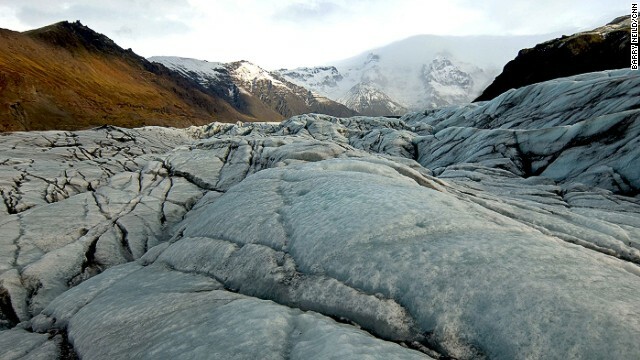 Most of the on-location Iceland scenes in "Interstellar" were filmed on the Svinafellsjokull, a huge tongue of ice that's part of the country's largest glacier. 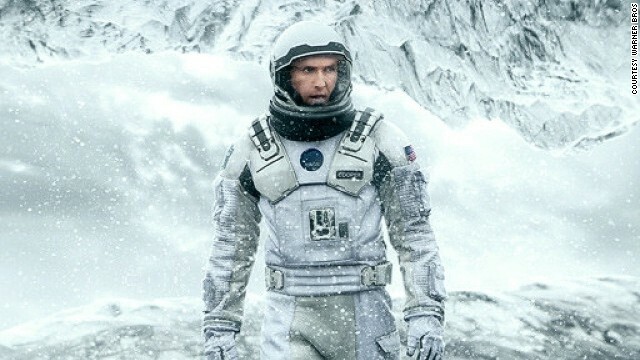 In "Interstellar," astronauts played by Matthew McConaughey and Anne Hathaway land on a bleak planet in the far reaches of space. In reality, it's Iceland. 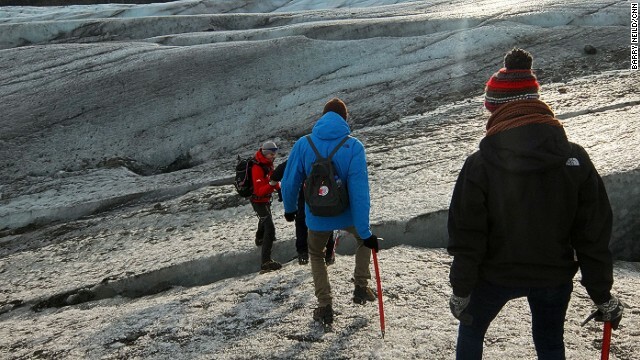 Icelandic Mountain Guides offers two-hour tours of Svinafellsjokull. 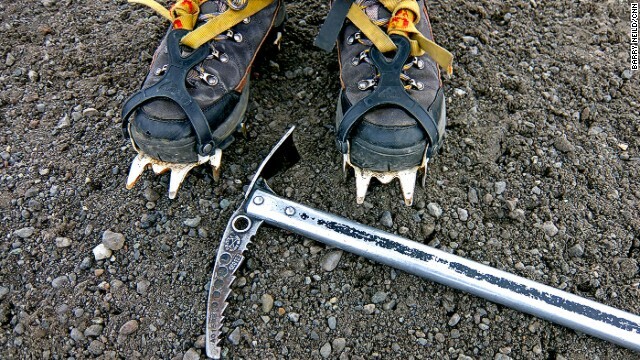 Hiking boots, crampons and an ice ax are standard issue glacier walking kit. A crew of up to 350 people worked on the "Interstellar" glacier scenes, bringing with them a giant model of a spacecraft. Other than a new parking lot, there's no trace they were here. 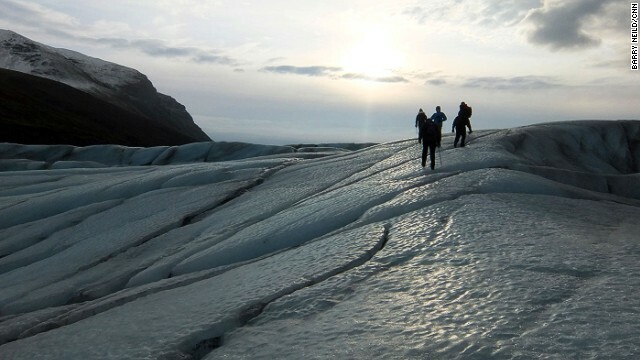 The glacier is constantly shifting shape as it pushes down the mountain and melts and freezes under warm daylight and freezing nights. 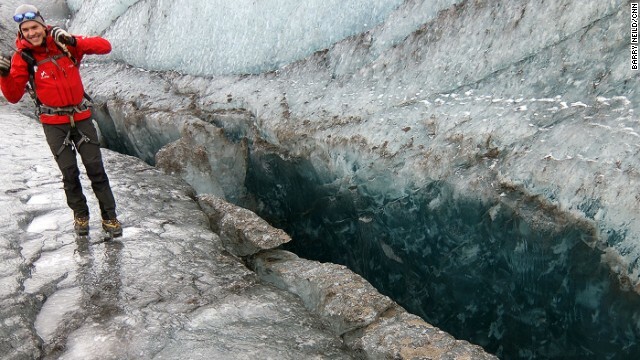 Crevasses opened up by friction as the ice moves down the mountain can penetrate to the bottom of the glacier -- at this point up to 50 meters deep. 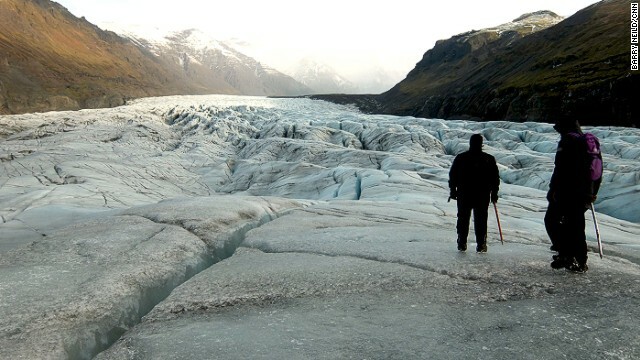 Further up, the glacier can be up to a kilometer deep. 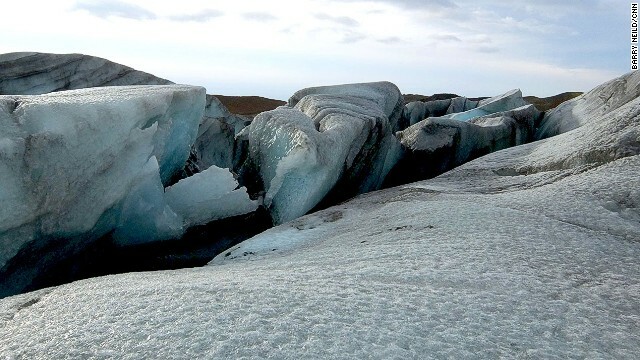 The Svinafellsjokull glacier pushes forward between 25 and 30 meters each year, but summer melting currently causes it to retreat 40 meters. 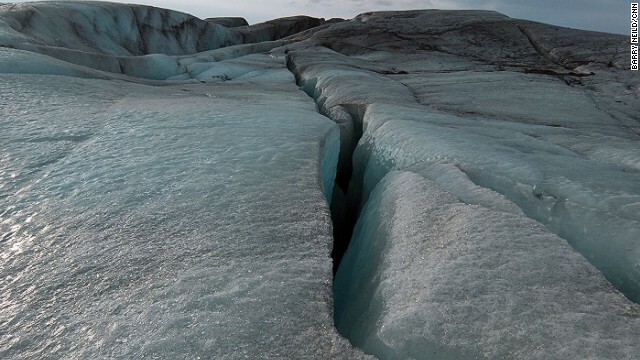 Melting ice can create holes, known as moulins, that plunge down through the glacier. Some are big enough to climb through. 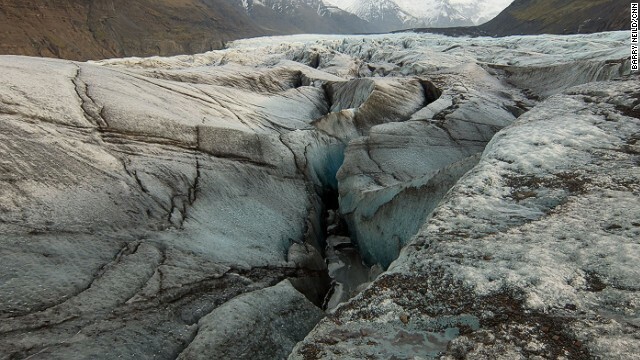 The glacier appears marbled where crevasses have opened then closed again as the ice moves down the mountain. The dirt is morraine -- debris torn up by the glacier. Tramping up and down sheer ice slopes in crampons is best done using a bandy-legged walking techniques, straight backs and small steps. 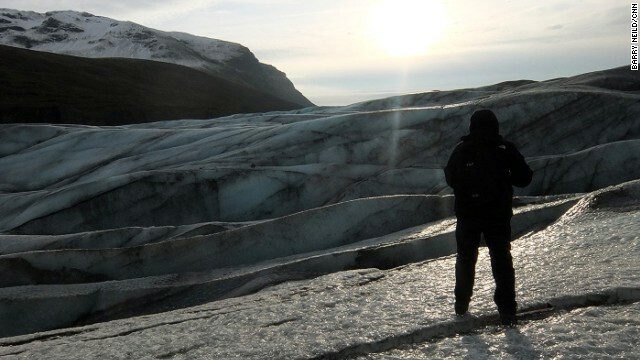 Icelandic glacier guide Tomas explains how the topography of the frozen landscape is created. 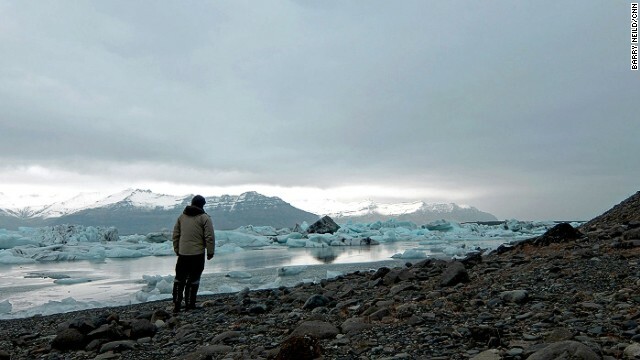 "This," he says, gesturing to the vast expanse of ice, "is my office." 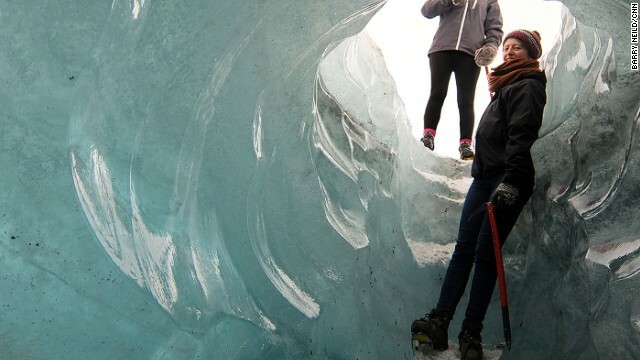 Ice that's been under immense pressure due to the weight of the glacier is blue in appearance. Nearer the surface it becomes whiter as the melting process adds more air into the mix. To the east of the Svinafellsjokull glacier lies Jokulsarlon, an otherworldly glacial lagoon that's home to skua seabirds and seals. 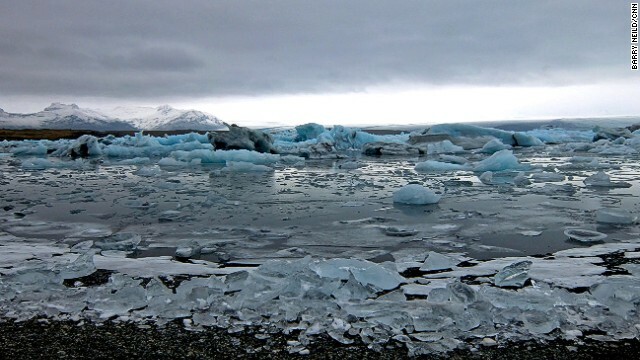 Jokulsarlon is formed from meltwater from the nearby Breidamerkurjokull glacier. It's possible to take amphibious boat tours of the lake throughout most of the year. 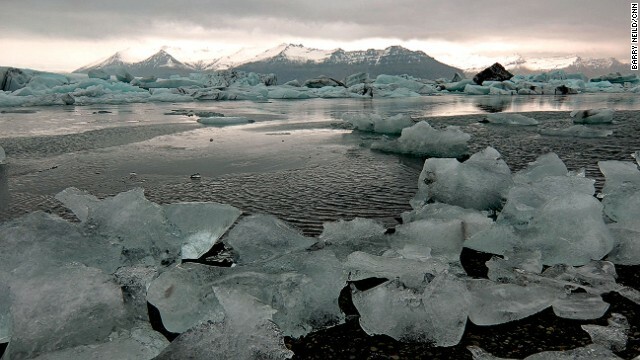 Jokulsarlon has starred in two "Bond" movies as well as "Tomb Raider" and "Batman Begins." 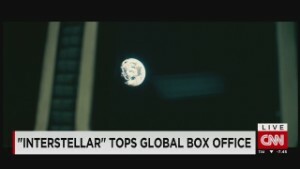 (CNN) -- Having trouble hearing the dialogue in "Interstellar"? You're not the only one. But that's the point, says director Christopher Nolan. "Many of the filmmakers I've admired over the years have used sound in bold and adventurous ways," Nolan told The Hollywood Reporter. "I don't agree with the idea that you can only achieve clarity through dialogue." 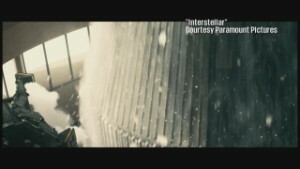 "Interstellar" has been the subject of chatter about its layered sound design, which occasionally buries dialogue from the actors underneath sound effects and Hans Zimmer's sometimes booming score. One IMAX theater even posted a notice: "Please note that all our sound equipment is functioning properly. Christopher Nolan mixed the soundtrack with an emphasis on the music. This is how it is intended to sound." One viewer -- who saw the movie in a renowned Los Angeles theater -- told Billboard magazine, "I noticed right away that there were parts where the music totally obliterates the dialogue." Naturally, Twitter was all over it. "Breaking! Christopher Nolan breaks silence on INTERSTELLAR sound issues: 'I don't care about dialogue!' " wrote Kevin Carr. 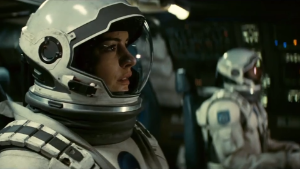 "Christopher Nolan doesn't think INTERSTELLAR's sound issues are issues at all. What? WE SAID, CHRISTOPHER NOLAN..." chimed The Dissolve. Nolan's sound design has come under fire -- and mockery -- before. The "WHOOM" of "Inception" became so well known that it even inspired a Web page. Nolan, who visits theaters in advance of his films' official release to make sure the audio is up to snuff, says he hasn't heard of any problems. "The theaters I have been at have been doing a terrific job in terms of presenting the film in the way I intended," he told The Hollywood Reporter. "Broadly speaking, there is no question when you mix a film in an unconventional way as this, you're bound to catch some people off guard, but hopefully people can appreciate the experience for what it's intended to be." Well, it could be worse. Nolan could be overusing "Carmina Burana."